The Restoro program specializes in Windows repair. It scans and diagnoses, then repairs your damaged PC with technology that not only fixes your Windows Operating System, but also reverses the damage already done with a full database of replacement files. 3 categories - Hardware, Security and Stability. 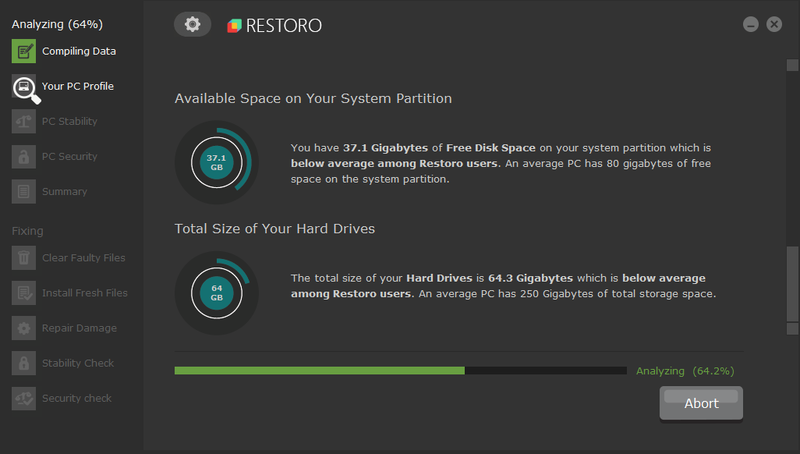 Restoro patented technology, is the only PC Repair program of its kind that actually reverses the damage done to your operating system. 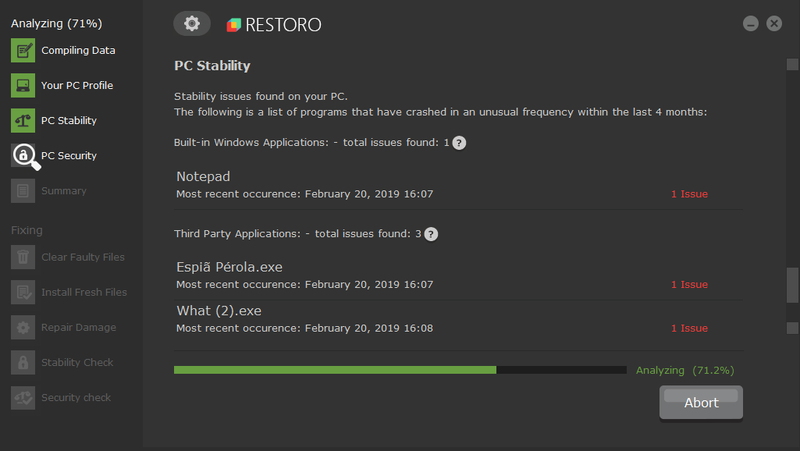 How does Restoro fix Windows? The online database is comprised of over 25,000,000 updated essential components that will replace any damaged or missing file on a Windows operating system with a healthy version of the file so that your PC's performance, stability & security will be restored and even improve. Find out what Restoro can and can't fix. 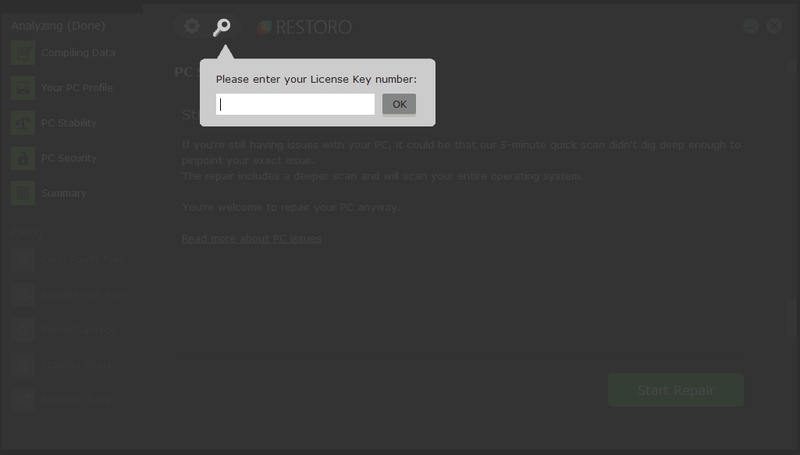 Check prices and buy your Restoro License Key.